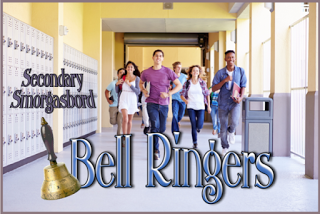 Bellringers for French class? But how can you do anything before all the students are arrived and settled? I think it's important to offer them some reason to get to class on time and get into learning. So I wanted to share two approaches with you. My own imperfect version that I've been setting up this year and another teacher's with a quite different style from my own. 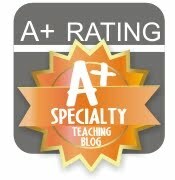 Thanks again to ELA Buffet and Desktop Learning Adventures who have organized this secondary level monthly blog hop. I've had students journalling, roughly weekly, for a few years as part of my program. We do that on Thursdays (jeudi = journaux... get it?) I've mainly been using that for diagnostic assessment, or assessment for learning as we call it here in Ontario, and to encourage increased student fluency in their written work. This year, I've decided to actually mark certain entries. More about that in a future post! Each Friday, we do Cercles communautaires littéraires. Students sit in grouped tables and talk about what they are reading independently in a structured, game-like way. This is a free activity a friend and virutal colleague introduced to me, and she shares it on TPT. Students love it and I enjoy the fact that I'm encouraging them to read, but not in a way that's too burdensome... the emphasis is on thoughtful reading and reflecting, and then the activity is oral in my class 90% of the time. Check out her cute but not too young bookmarks too, which tie in as they have the question forms for students to remind themselves what they ought to be thinking about while reading. I'd love to be doing something musical one day a week, but am having trouble figuring out the logistics for this one. If the idea is to get students working as soon as they arrive, then how to handle that with a listening focus? Although we're a BYOD school, I haven't had a lot of luck convincing my students to use QR codes so far when I've offered them as an option. I'm open to other suggestions on that one! And finally, I like to provide an image for students to discuss one day a week. Whether it's a funny cartoon, something pop culture related, or a strange image... the goal is just to get the students interacting in French, as well as focusing their attention. It's my little bit of fluffy fun. It can be content-driven though too. Check out this example for social studies. So, that's my week planned out, hopefully with some ideas for you to try out as well in your intermediate or high school level classes. And now for something completely DELFerent. Oh my yes, I have been chatting with a particular someone whose horrible puns are rubbing off on me! LOL. Have you heard of the D.J. D.E.L.F. Dailies? You'll find a little overview on Steven Langlois' main web page for the D.J. D.E.L.F. 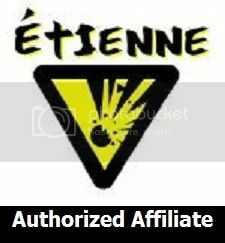 kit, which is a great, highly adaptable and engaging resource, which is music-based-but-not (as truly it centres around teaching students the vocabulary, structures and routines they'll need to know to operate in everyday aspects of their life en français.) 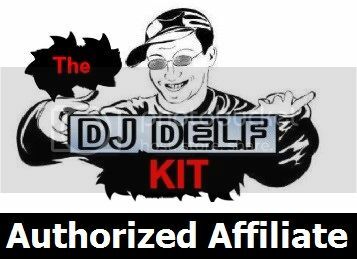 DJ DELF is tweeting and sharing via his facebook a little something to get you started each weekday. They're free, and it's a great way to get your students using social media in a realistic and pretty safe way within your program! Whether it's the riddle of the day, a song to which you can have students reflect and share their opinions, or an image based activity, check these out & see what you think! He's even got a set of worksheets, if you like to have students record their thoughts on paper. To save trees, I was thinking those wipe off markers on laminated weekly sheets might work. Really... do whatever works for you. But get those kids thinking and sharing en français regularly and as early as possible. Have a great, restful weekend! It sounds like your class is so much fun! Your ideas are great for bringing in variety and still setting high expectations with steadfast routines! I love the idea of having students discuss images...so motivating and fun! Thanks for sharing! Hello! I found you (again) via Secondary Smorgasbord, but I don't think I've followed up with you at all to ever tell you THANK YOU for reaching out to me and basically changing my life. I'm pretty sure you were my very first follower and you were definitely the first person to tell me (gently suggest to me) to get my TpT act together. Anyway, I really appreciated that first bit of encouragement and I couldn't remember if I ever told you that. I love your blog and new(ish?) logo. Awesome stuff!